“Sometime in December”, this is according to Asus Chairman Jonney Shih, is when the Zenbo will be launched in Taiwan. A product launch event is planned for December although there is still no set date. Asus came out with big aspirations for Zenbo. Their goal was to have it available in retail by Christmas and it appears they are on target although it will only be in the Taiwan market to begin. According to Asus CEO, the Zenbo will launch in China in Q1 2017 and will come to the US and other markets in Q2 2017. Take our word for it, you won’t have to wait until Q2 2017 to buy a Zenbo. There are opportunities to buy products from Taiwan sellers and we will have those details as they become available. We hope the floodgates open and there is a lot of incredible new Zenbo details in the coming weeks. With the Taiwan market on schedule for a December launch, we should have lots to talk about. PLease let me know when can I get the Zenbo for my Kids in Singapore. Can you give me sellers in Taiwan so I can get a zenbo in the USA ? 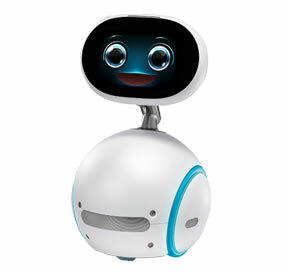 Dear mam/sir can you please inform me where can I get zenbo,maybe on amazon?